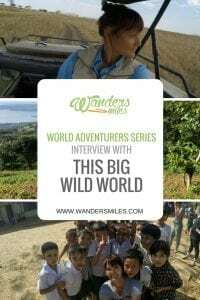 Wanders Miles World Adventurers Series welcomes Susan from This Big Wild World, an outdoor adventure travel blog for the culturally curious. She believes that there’s an outdoor adventurer inside every one of us and we’re just in need of the right inspiration. 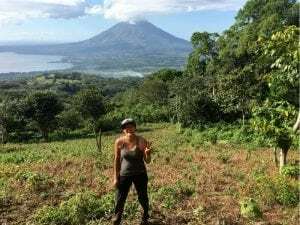 Whether you trek up volcanoes in Nicaragua, volunteer in remote communities in Vietnam, or explore trails near wherever you call home, Susan encourages you to find your adventure. Her philosophy on traveling is that it’s not about the numbers but about the connections you build with a place, yourself and the people you meet along the way. She is now based in Minneapolis, Minnesota and considers herself a full-time Master’s student, part-time traveler, and lifelong adventurer. Adventure comes in all shapes and sizes, including leaving her 13-year career to pursue her passion. This recent pause in her career has allowed This Big Wild World to come to life. Here, Susan shares more with Wanders Miles about herself and her adventures. Big effort, big reward. That’s my mantra. My very first blog post was a reflection on my why I travel and how that has changed over the years. The biggest takeaway is that now, in my thirties, I travel to connect with people and the culture. So when I can combine an off the beaten path destination, with a cultural experience, while making a positive contribution to the community, and activities that challenge me physically – that would be my perfect adventure. 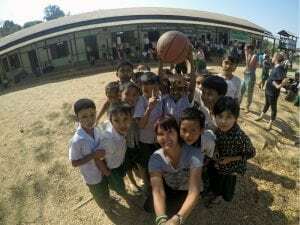 Playing with schoolchildren in a remote village in Myanmar would be at the top of my list. I traveled several hours by boat from Ngapali Beach to donate school supplies to a village. The headmaster was so thankful for our donation that he gave the children the rest of the day off to play with us in the school yard. We made up games, chased each other, danced, and laughed all afternoon. The Inca civilization has long intrigued me. So, hiking the Inca Trail where they once walked was a magical experience. The landscape is diverse and the hike is both challenging and humbling. The last morning, before hiking the final bit of the trail leading into Machu Picchu, our guide took us to eat breakfast by moonlight among ruins in the jungle. I will never forget how vivid the stars were and how peaceful I felt in that moment. 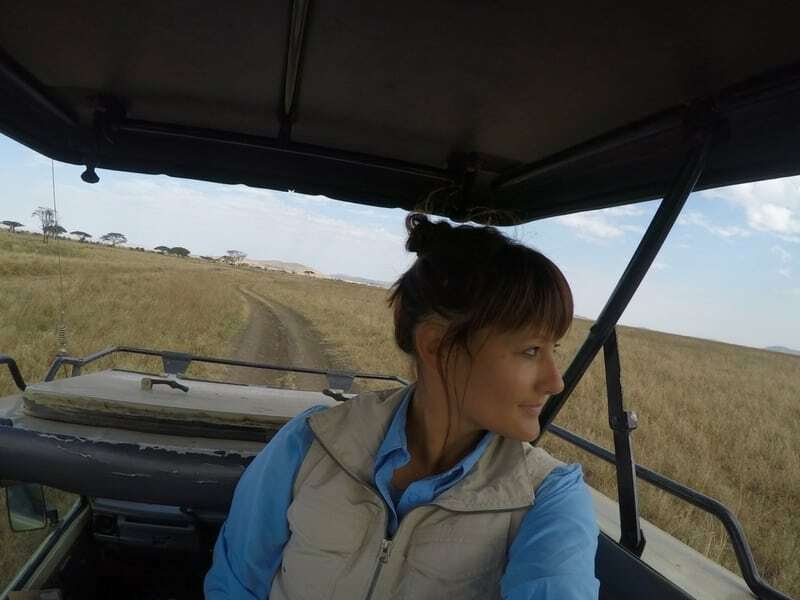 My experience on safari in Tanzania would be my third top adventure. I opted for a basic tent camping safari experience. The first night camping in the Serengeti, surrounded by the sounds of nature, is etched in my memory. A lion roared in the distance and then an animal shrieked. The circle of life was happening all around me and all I had was the fabric of the tent protecting me. There is nothing quite like seeing a giraffe just feet away from you or a lion hunting low in the grass. Once you see those animals in their natural environment, no zoo will ever be the same. I often get teased about this, but I don’t keep a bucket list. (the horror!) I honestly want to go everywhere, which would make a really long list. Instead I keep a Nectar List, which is sort of the opposite of a Bucket List. It’s a list of impactful moments that you’re thankful for. My Nectar List guides what stories and experiences I share on my blog. I could go on forever! Here are a couple of highlights. The “cab driver who tried to kidnap me” incident is one that I’ll never forget. 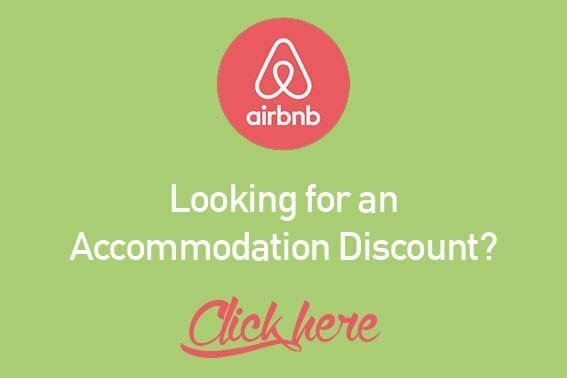 After a night of drinking when I lived in Sydney, I ended up splitting a cab fare with a random guy headed in my direction. I remember thinking it was weird that the cab driver dropped the other person off first, but shrugged it off. Then I started recognizing the names of towns that were past my stop and freaked out. I asked the driver to pull over immediately. He ignored me and kept driving. So, I jumped out at the next roundabout and started running. I was drunk, lost, and my cell phone was dead. I heard waves crashing nearby, so I walked towards them and followed the coast all night until sunrise, when I arrived at my flat. To this day, I don’t know what that cab driver intended to do, but am thankful I jumped out when I did. The “misjudged low tide” incident is also memorable. When volunteering in Zanzibar, a friend and I walked along the beach to a massage place (our muscles ached from slinging bricks). Long story, but we ended up getting massages in a treehouse behind this woman’s home. By the time we were done, high tide had come in so we couldn’t walk back along the beach, only through the village. Being mindful of the fact that shorts and tank tops were not acceptable in the village, we tried to walk quickly and quietly back to where we were staying. We got so lost. And then children started following us. By the time we got back to where we were staying, there were nearly 20 children following us. We had no choice but to have a full-on splash party with them! You can accomplish so much without words. 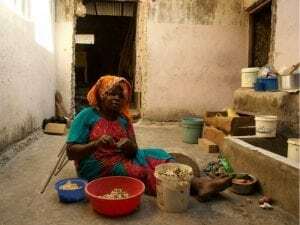 Whether it’s building a bamboo home in Myanmar or learning Swahili cooking in Zanzibar, it’s all possible without a shared language. A little pointing and observing what the locals are doing goes a long way. Whenever I’ve been unsure or even a bit lost, a genuine smile is understood everywhere. Strangers can be incredibly kind. While walking through a village in Vietnam where I was volunteering, a woman saw me and urgently gestured for me to come into her home. I thought maybe something was wrong and she needed help. When I walked in, she was pulling out a woven mat and pouring tea. She and I ended up sitting on the mat on top of her concrete floor sipping tea in silence. We just smiled at each other. It was a strange but incredibly peaceful experience that I will never forget. To be thankful for all that I have. After returning from my first volunteer travel experience in Vietnam, I looked around the condo that I own and felt overwhelming guilt for all that I have. I immediately went through my closets and donated 10 bags of clothing to a local shelter. I then started selling items on eBay in an effort to “right-size” my life. This is now just my new normal. I always have a pile of stuff to donate or sell because I’ve realized I don’t need all of this stuff. When you’ve seen people with so little that are so happy, it puts things into perspective. Duct tape. No joke. I have small rolls I always bring with me. Your backpack breaks? Duct tape it. Got a hole in your tent? Duct tape it. Cut your foot open in a remote village? Duct tape the bandage on. I use it on literally every trip because, life happens. “It’s all part of the adventure.” This is what I say every time things don’t go as expected. It’s a philosophy. Whether your train is late, your luggage got stuck in the elevator (this actually happened), or you get stranded on a multi-day hike in the rain, if you can see these challenges as part of the adventure it makes the negative a positive. I’ll keep it really simple with these three points. Kindness breeds kindness. A smile goes a long way when you’re in a new place. 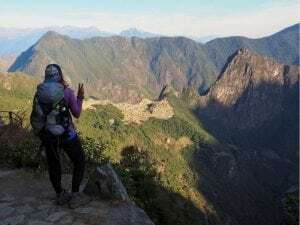 Were there dark moments for me on Day 2 of the Inca Trail hike? Sure, but my guide was smiling and all I could do was smile back and be thankful for the moment I was in. There’s no point in rushing or being rude. Take the time to be kind, learn about other people and just observe. Go solo, at least once. You won’t regret it. Although I’ve traveled extensively and lived overseas twice, I was always either meeting someone along the way or consumed with the process of moving. So, this year, I took my first solo trip to Nicaragua and absolutely loved the sense of freedom. Solo travel made me vulnerable but also made me more open to meeting others. What is the next planned adventure for This Big Wild World? Things are up in the air for me right now. I graduate with my Master’s degree soon and am unsure of where I will land. On the docket is to either do a last minute “show up at the airport and buy airfare for that day” trip or an unplanned road trip with my cousin. I’ve got my eye on Norway and Chile for next year as well! Where do you think I should adventure next? Follow This Big Wild World’s adventures at thisbigwildworld.com and on Instagram, Facebook, Pintrest and Twitter. “about the connections you build with a place, yourself and the people you meet along the way” So true, it is so much more fulfilling when you are open to those kinds of experiences and be less focused on the numbers. Living in the moment while traveling for me is essential! What an inspiring interview! I love the idea of a Nectar List and totally agree with the duct tape tip – we have found it invaluable so far! Thank you so much for your contribution, it was so well-received by both adventure and non-adventure travellers – I’ll continue to follow your amazing adventures!